Rey has been through a lot. She was down and out, scrounging through ancient ships on Jakku. She dreamt her whole life of her parents coming back as she was scavenging in return for measly food scraps. After years of barely scraping by on strange space age goo she couldn't have ever guessed at the strong Jedi she would soon become. She should have guessed though, how else would she keep her hair in the buns after a hard day of nosing around wrecks in the hot desert? As much as we loved her scavenging hairstyle we're pumped to be on her side as she gains more power, a new plotline, and a new hairdo! We think the new flowy look suits those Jedi robes quite nicely! 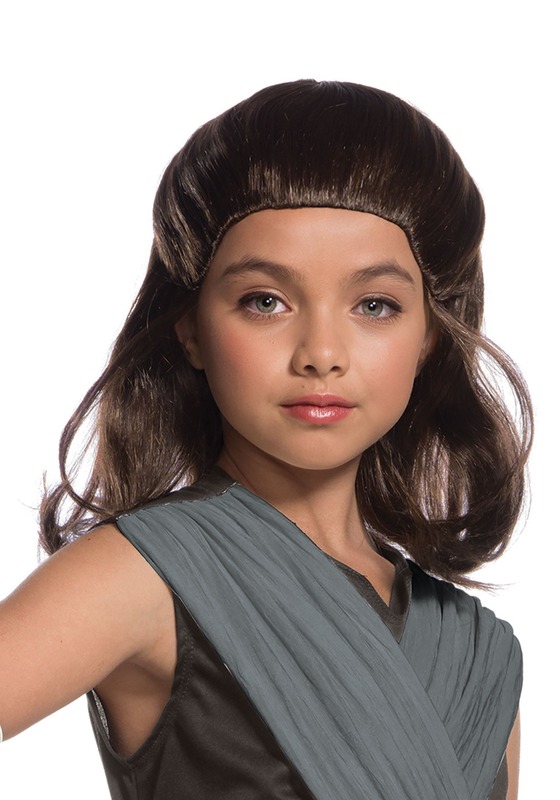 If your little one is ready to don Rey's new look then this wig will come in handy. Your Jedi kid will find it easy to get in touch with the force when they've got a no worry hair style. She can put it on and get into character but for all of our sakes, try to talk her out of going back to Jakku. Why would anyone want to go back to Jakku?